I have gotten hooked on searching for inspirational quotes on Pinterest and pinning them. At all times I'm aware that if I spent less time mindlessly searching for quotes other people said that were inspiring, maybe I'd come up with more inspiring words of my own. But I've always been a quote collector. 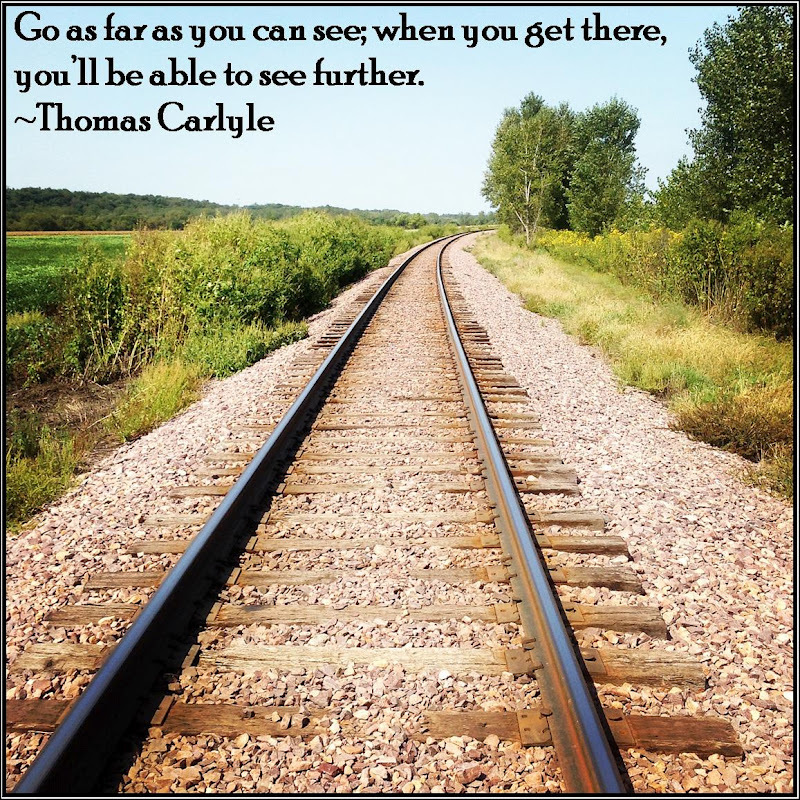 It's a picture I took on the train tracks across the dirt road from my parent's house, and one of my favorite quotes. Because I have a tendency toward getting overwhelmed. This is a good reminder for me to take baby steps. Now I'm not just a pinner - I'm a contributor.